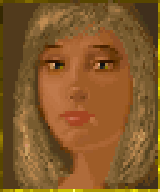 Queen Elysana (born in 3E 389) was the daughter of Queen Carolyna and King Eadwyre of Wayrest. Carolyna died in 3E 392, and a few years later, Eadwyre remarried. 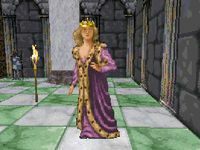 Queen Barenziah became Elysana's stepmother, and the princess gained elder step-siblings in Prince Helseth and Princess Morgiah. "Queen Elysana" is mentioned multiple times in the Charwich-Koniinge Letters. However, the letters are purported to have been written in 3E 411-412, during which time King Eadwyre and Queen Barenziah were still ruling the kingdom.